Did you know, Australian children are at risk of spinal injury due to incorrectly packed and fitted school backpacks. Adult back pain and spinal disorders may be a result of childhood activities which include carrying a heavily laden backpack. 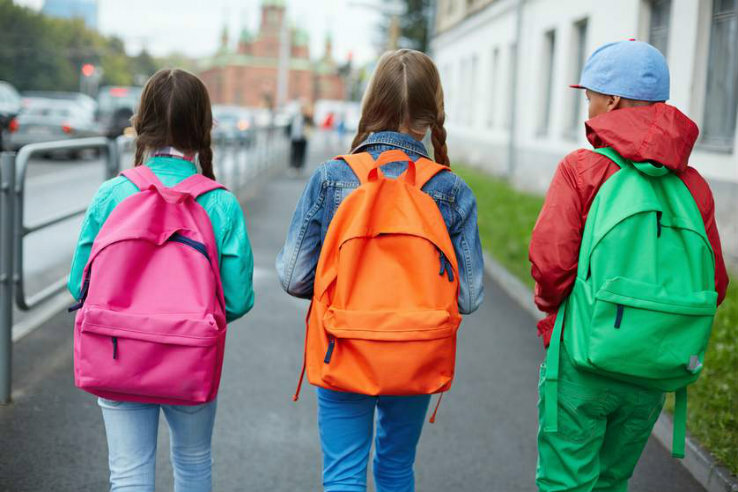 Many of the current backpacks children are using are fashionable, but unless they allow for even distribution across the back, they can cause pain. According to an international study, daily backpack carrying is a frequent cause of discomfort for school children. School backpacks were felt to be heavy by 79.1% of children, to cause fatigue by 65.7%, and to cause back pain by 46.1% (Backpacks on! Schoolchildren’s Perceptions of Load, Associations With Back Pain and Factors Determining the Load, 2002). Backpacks ideally should be no heavier than 10- 15% of a child’s weight when packed. Make sure the backpack is sturdy and appropriately sized – no wider than the child’s chest. Put comfort and fit over good looks. Choose a backpack with broad, padded shoulder straps. Use both shoulder straps – never sling the pack over one shoulder. Use the chest and waist straps to reduce pressure on the spine and shoulders. Don’t wear the backpack any lower than the hollow of the lower back. Don’t overload the backpack – use school lockers to store anything that doesn’t need to be used at home. Fill compartments so that the load is evenly distributed with the heaviest items/book nearest to your child’s back. Do not lean forward when walking; if this is necessary, there is too much weight in the backpack.